Home • Blog • Behind the scenes magic of our Rowcroft events! Behind the scenes magic of our Rowcroft events! It takes time, planning, a tremendous amount of support and a sprinkling of Rowcroft magic to deliver our fundraising events. 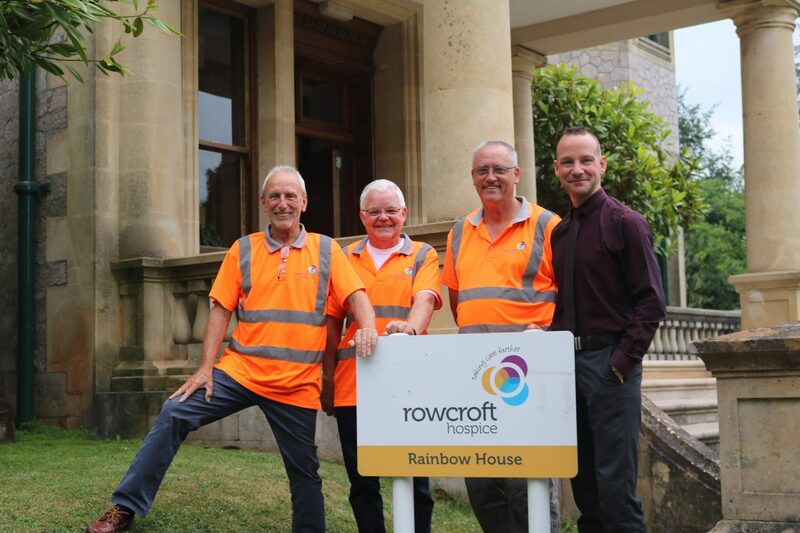 Aside from having a team of dedicated Rowcroft staff and our amazing group of volunteers, have you ever wondered how Rowcroft events are delivered? Well, behind the scenes, there are a group of people who put in many months of planning; offering advice and support to the Rowcroft fundraising team. And in the dark, cold, wee small hours of event day this same group of people pull out all of the stops to ensure everything is in place before anyone arrives. Formerly the Health and Safety Committee, it quickly became clear that this group offered so much more than just advice on Health & Safety, so the group became known as the Events Technical Logistics Team (ETLT). From electricians, to security professionals, to beach and coastline managers, to parking service leads, health and safety experts and everything in between, the ETLT offers a wealth of experience, expertise and knowledge. Chris Bethell is a member of the ETLT and supports the Rowcroft events electrical requirements, a vital part of the smooth-running of some of the biggest events. Chris describes his volunteering experience; “The experience of being part of a group of individuals from different backgrounds that gel together for a common cause is just so amazing and highly recommended!” The energy and spirit on event days is infectious and the ETLT group have become part of the Rowcroft family. Together we celebrate the incredible fundraising totals, the smiles and laughter of those taking part in the events and the wonderful post-event praise and feedback on social media. So….when you’re next at one of our events, make sure you give the ETLT group a smile, wave or a high five. They’re the reason you’re having a whole lot of fun! The ETLT will be supporting the hospice in Ride for Rowcroft in October. Visit our Ride for Rowcroft page to enquire about volunteering opportunities at this popular event.